Must compete in 3 shows and the final for League. Same horse and rider combination. 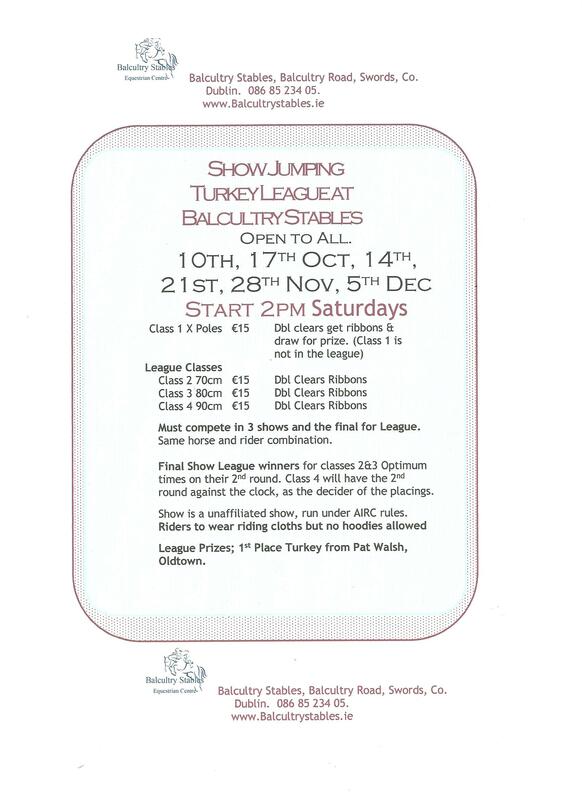 Final Show League winners for classes 2&3 Optimum times on their 2ndround. Class 4 will have the 2nd round against the clock, as the decider of the placings. Show is a unaffiliated show, run under AIRC rules. 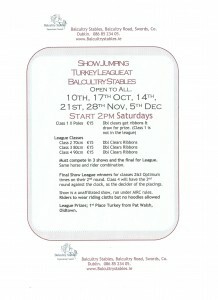 League Prizes; 1st Place Turkey from our local farmer Pat Walsh, Oldtown.